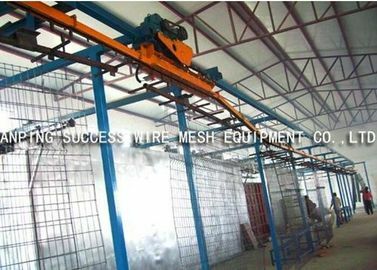 The automatic wire mesh welding machine is mainly used to weld fence and floor roof wire netting. 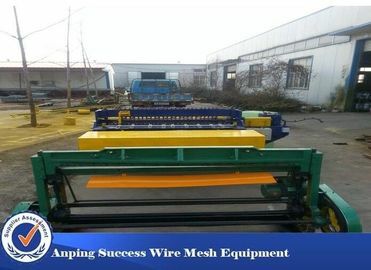 Operation processes: warps and wefts required by the equipment are pre-sheared by an automatic straightening cutting machine, the warps are placed on a corresponding warp groove, and the wefts are placed into a corresponding weft groove, and a fall feeder is controlled for automatic blanking and welding through a stepper motor respectively; the stepper motor controls a mesh drawing process to ensure accurate and uniform grids. Both grid size and welding parameters are set by direct input on an operation panel, which is simple and accurate in operation.. The precision weft cutting device and the axial positioning device are provided for wefts to ensure that the wefts are not required to be trimmed due to consistent length and tidy edges. 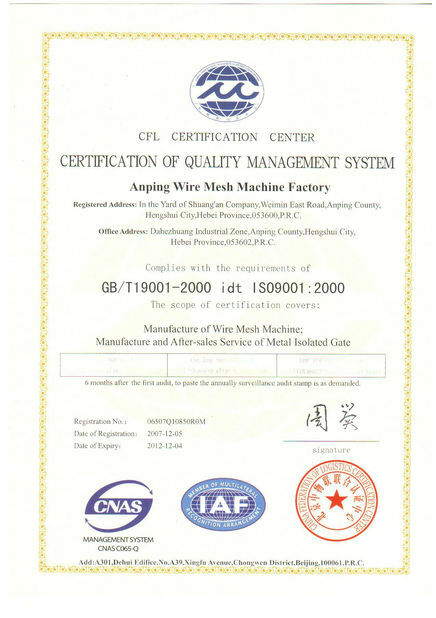 A power electronic synchronous control technology is adopted, both welding time and branch control welding are formed by a digital integrated circuit, the control accuracy is high, welding sports are firm, and burn marks cannot be formed.. 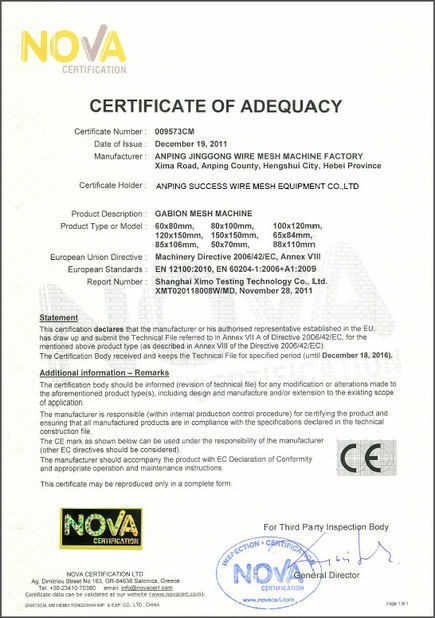 The above parameters can be customized according to customer requirements. 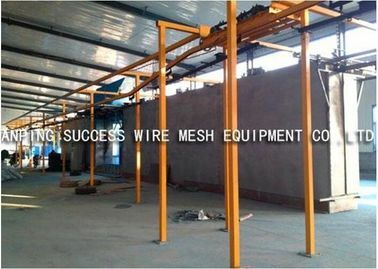 Synchronous control technology, welding time and sub-control welding managed by control system of industrial personal computer, control software based on Windows operating system, human-computer interface, more intelligent and personalized operation. 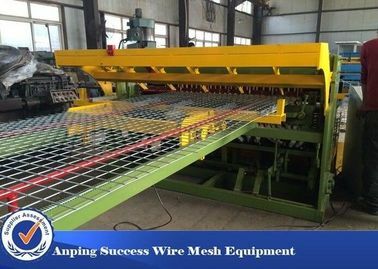 Warp adopts wire coiling feed and continuous feeding, and alignment, welding, cutting and transport are automatically finished. 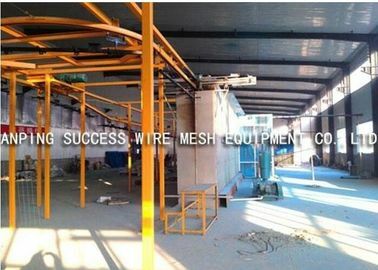 Wire drawing controlled by servo motor, grid size more precise than stepping motor control, meshes with different size appearing in warp direction on the same net. 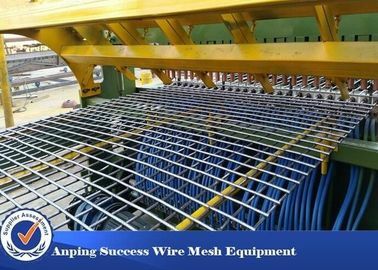 Its greatest characteristic is breaking the situation that wire mesh fence cannot be continuously produced by wire coiling and changing the trivia of changing each contact pressure spring because of different wire diameter, and welding spot pressure can be changed by slightly changing cylinder pressure knob. 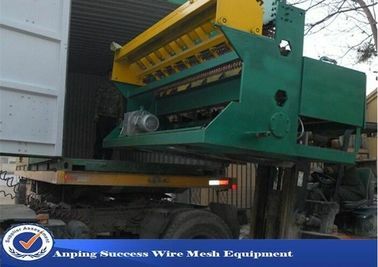 The equipment takes steel and other metal as the body and hi-tech resin composite as the coat, so it resists strong acid, strong alkali and gas corrosion. The plastic dip equipment is suitable for expressway, airport, railway and urban road isolation rail, civil protective wire and bar, sports goods, anticorrosion supplies, crafts and other workpieces. Eco-friendliness and non-pollution, non-rustiness in over 30 years, bright and clean color, various colors, ideal updating product of metal paints.